Shameless plug alert: I absolutely love being a chiropractor. Normally my blog highlights topics and people that will help you, my readers and patients, lead a better quality of life through health. I talk about the good, the bad, and the ugly (read about Bacon and cancer? Dry the crocodile tears and say bye-bye to processed meats). October is National Chiropractic Health Month. What does this mean to you? 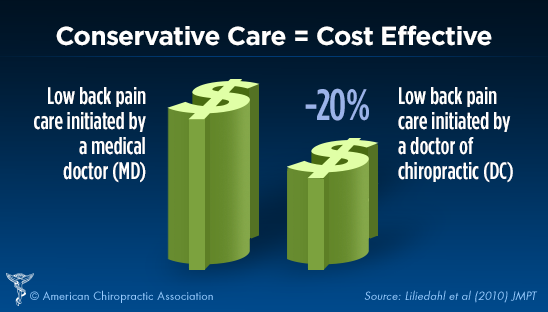 Juicy, evidence-based bits of information and fancy infographics that preach the facts and not fiction as to why you might consider, and even love having the option of using chiropractic medicine in your health care plan. I won’t bore you with the details, but a chiropractor IS the known specialist of a drug-free, surgery-free approach to managing spine pain. As a primary care limited physician, a chiropractor is the first person to see regarding your low back pain, neck pain, and headaches if you want to a) avoid surgery b) get better quickly and c) save money on medical bills. We perform orthopedic/neurological exams, diagnose, and send out for imaging like MRI/CTs as necessary. We work with your medical doctors closely to coordinate care. Don’t take my word for it, see the high quality research niblets below. Wouldn’t it be great to learn why you ended up with back pain in the first place? We do that too. Chiropractors are not just trained in teaching patients how to stay out of pain but more importantly, how to stay well. These are docs who care about your long term health. But what about safety? Is it dangerous to see a chiropractor with that ‘neck-cracking’ thing? Again we turn to the research instead of fear-based myths. 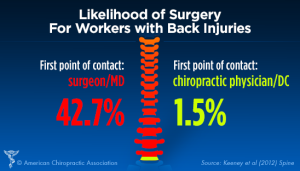 See below for the goods on this topic, you might find relief to know that spinal adjustments are heralded at literally the safest approach to treating neck pain in comparison to…well…all things medical! Curious about what it would be like to see a chiropractor in Aventura? Want to try yoga, acupuncture, Pilates, and trigger point pain relief?